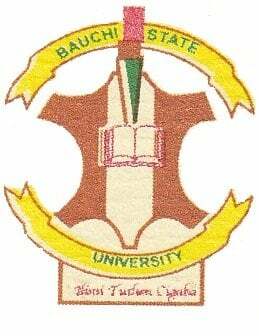 BASUG Postgraduate Form – The management of the Bauchi State University, Gadau (BASUG), is now selling forms for admission into its postgraduate programmes for the 2018/2019 academic session. Applications are invited from suitably qualified candidates for admission into the Bauchi State University Gadau (BASUG) postgraduate programmes for the 2018/2019 academic session. ll candidates (for both Part-Time and Postgraduate Programmes) must have O’ Level with a minimum of five (5) credits, relevant to the programme of interest, including Mathematics and/or English Language. c. A Professional qualification in a related discipline acceptable by the Senate of Bauchi State University. d. Any other qualification acceptable by the Senate of Bauchi State University. c. A HND holder from any recognized institution with at least Credit pass and at least an Upper Credit pass of PGD in the relevant areas. b. Candidate may be required to pass a qualifying examination and/or undergo a probationary period not exceeding one academic session. Duration of BASUG Postgraduate Programmes. How to Apply for BASUG Postgraduate Admission. c. After making the payment candidates are to return to the BASUG website and follow the instructions on how to download the application forms and submission instructions.